Hello and good morning guys, how’s your day? This day I want to share tips that frequently asked by a few people who play MOBA games. Well, as we know that the Match Making Rank game in dota 2 already adapted in a few games like Vain Glory, Mobile Legends, and the last is Heroes Evolved. Even though the system and the rules of this Ranked system are different to each other. The mechanism and the rules are still can be predicted and moreless same to the other game. However, what I want to talk about here today is not about all of those three games. 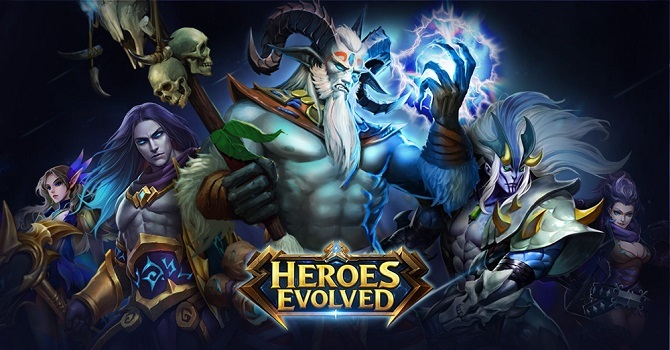 My article today will be focused on Heroes Evolved game. So, check out my best Heroes Evolved tips to play the Ranked game in this game! There are a lot of people who get stuck in one division whether it is in Silver to Gold rank or Gold to Diamond rank and so on. However, this is not a big problem for people who already have so many experiences on playing this kind of game. Well, for people who have been playing a similar game, they will know that the pattern from all of those games is similar. That’s why to help you raise up your rank to Spectrum rank I will share my Heroes Evolved tricks to you. Ranked game is a mode where you will get a lot of points when you are winning a game and you will also lose some points everytime you lose the game. However, the appearance of cancer or toxic player in the game sometimes also become the biggest obstacle for a few people. So, the question now is, how to win the game when you have a toxic player in your team? Win The Game With Following The Heroes Evolved Tips! Well, if you try to googling about Heroes Evolved review and try to find out how to carry your team alone. I bet you will found nothing, right? Honestly, the answer to your problem is quite simple. All you need to do is you need to make the environment in your team become friendly. You still not get the point of my tips? Well, here is the list! If you think your skill is far above the player in your team. You can try to play as a complement player. Try to balance the team ingredient. It will help your team in the team fight later. Try to avoid a clash in early minutes because you will be in unfavorable condition and the chance of you are losing one of your team will be high too. Try to communicating with your teammates even more frequently. Inform them if one of your enemies lost from your sight and plan a gank on one of their carries heroes. Placing ward in enemies lane also profitable. Don’t be stingy people, you can get your gold back when you are farming but you will lose a lot of experiences, gold and of course the time when you die! Well, I think my article today about best heroes evolved tips to play ranked game is enough and clear. I hope my article today can help you to increase your division rank. If you think my article today is useful for you please share my article today with the other Heroes Evolved player. See you soon in my next article and have a nice day dude!